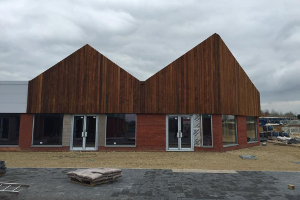 Midport Construction Limited was established in early 1996 by George Hodgetts and his family, after spending over 25 years fixing, repairing and replacing industrial roofing and cladding systems throughout the UK. 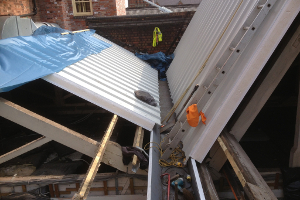 Steps were then taken to form a supply, delivery and complete roof repair company, we have since gained an outstanding reputation within the high end cladding solutions market for our design excellence and high quality site craft, whilst offering real value for money. 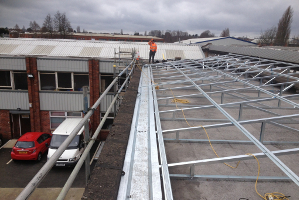 The company really has gone from strength to strength to provide a first class service when it comes to supplying and fixing industrial roofs. We have carried out work on some major contractors and clients over the years, across the UK whilst our ongoing commitment is to fully provide a service to each of our clients that is unparalleled within the industry for professionalism, quality and efficiency. All of our highly experienced management and technical staff are ALWAYS available to offer sensible, friendly and practical advice. In an ever changing and highly competitive market, we are continually investing in the latest technologies and innovating new design techniques to ensure that our valued clients receive only the very latest in engineered cladding and roofing solutions. 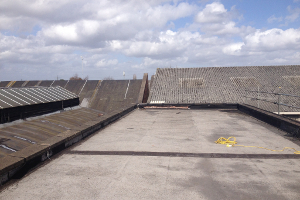 We also offer a reliable and state of the art roofing maintenance service to building owners and occupiers of industrial/commercial units. We provide annual contacts to clean out gutters, rain pipes and remove unwanted moss, dirt and grime. If you would like to find out more, please call our team on 0121 522 2850.